When the early church was formalising the Biblical canon, what specific definition of the word 'inspired' did they have in regard to the biblical literature? I'm curious about how this relates to the Bible and other non-Biblical texts. I have seen many people say that other writings are not inspired and I'm not sure what they might mean. Is the ground they are standing on fundamentally characterized as if it isn't in the Bible then it isn't inspired? Example: ..., this document is almost certainly reliable, although not divinely-inspired Scripture, not to be included in the Bible canon. I ran across an interesting piece of text that pointed out (and I don't know if this is true) that the purpose of canonizing the Bible was purely liturgical. If this is true, then by definition it makes no sense to say what I see some use as an argument if it isn't the Bible then it isn't Inspired. On a personal note I sense the pitfalls of having an open canon, but I find it very troubling that we have locked future potentially accepted inspired works up in fear of what that might bring. 1) Are inspired works closed as canon is? 2) Are there potentially other inspired historical works which are not in canon? The answer to the first question depends on the view one has of the gift of prophecy and its possible continuation. Those whom God used to produce an inspired text were those who had been given the gift of prophecy. Those like myself who hold that the gift of prophecy ceased with the death of the last apostle hold that there will no longer be any New Testament books that carry the mark of inspiration. Here the use of inspired is being used in a very technical sense -- literally a work in which God carried the author along. That excludes works that we would view as inspiring in the non-technical sense. There are some sects who hold that the gift of prophecy continues to this day. Often times those groups will have layers or degrees to which a prophet or prophetess can produce inspired texts. Most of these groups makes some sort of distinction between the canon of the Bible and the writings of the prophet or prophetess in question. If the criteria for acceptance into the canon is the original apostolic authority then the canon is closed unless one holds to the idea that the apostolic office continues. 2) Are there potentially other inspired historical works which are not in canon? The answer to this question depends to a great extent on where one falls on the doctrine of preservation. For those like myself who hold to the doctrine of preservation (see below) then it would be contrary to the nature of God to inspire a text and then to leave it undiscovered by the church. If preservation is denied then it is certainly possible that there were writings that were God-breathed that have been lost to history. There are at least two letters written by Paul (probably more) that are lost to history. 1 Cor. 5:9 indicates that Paul had already written to the church at Corinth prior to his writing 1 Corinthians. Also the letter to Laodicea that is mentioned in Colossians 4:16 has been lost to history. Those who hold to the doctrine of preservation see those letters as not having been the product of inspiration and they were then lost to history. For those who deny this doctrine, they can argue that they were inspired and then later lost. This implies that once a person was a prophet they were always a prophet. One difficulty in this is the passage Ephesians 2:20. It may be that Paul was indicating New Testament prophets as part of the foundation. Like the missing letters some have argued that there were other writings of the NT prophets who have been lost to history. I hold that in the early church there was the prophetic gift that was serving the church through oral communication until such time as God had revealed all that we need in the New Testament and then the office of prophet ceased. Implicit to these questions is the idea -- do we have everything we need in His word? I think Peter answered this in the affirmative in 2 Peter 1 (one of the last books written in the NT). The Greek term that is behind the English word inspired is θεόπνευστος. It is a compound word that literally means "God Breathed." The process of inspiration resulted in the product -- an inspired word of God. Theologians define the process as the human author was carried along by God so that what they wrote was both the words of the human author and at the same time the word of God. By inspiration in this sense is meant that operation of the Holy Spirit by which the prophets of Israel were enabled to utter the word of God. The vocabulary was theirs; the message was his. Only to certain individuals, and only occasionally to them, was this enablement granted. F. F. Bruce, The Canon of Scripture (Downers Grove, IL: Inter-Varsity Press, 1988), 264. Paul claimed to have the "mind of Christ." "in words not taught by human wisdom." Different denominations view the subject of the canon of Scripture differently. The Catholic Church has always claimed the power to determine the extent of the canon through the actions of the various Church councils in the fourth century. Then affirmed in later councils. Protestants on the other hand have suggested that the source of the canon is set by God and it is up to the Church to discover what books carry the signs of that inspiration. These groups all hold to a closed canon. Other groups have claimed that the gift of prophecy has continued and they add different criteria for the notion of the canon. Those groups would hold to some level of an open canon. Open in the sense of some new revelation that came after the apostolic age. In the end it comes down to the criteria a church uses to establish the canon. As a protestant I would hold that the canon was actually established much earlier than the councils of the Catholic Church. 2 Peter 3:16 declares that the writings of Paul were already considered Scripture just a few years after they were written. The Church had recognized their authority from a very early stage. The book had to have apostolic authority. The signs and wonders of an apostle were given to substantiate the writings of the New Testament. This is perhaps the most well known criteria for the mark of inspiration. It is also why the debate lingered for some books like Hebrews where the question of apostolic authority was somewhat lacking since the author of Hebrews is an open question. The early Church generally ascribed it to the apostle Paul. For protestants the office of apostle has ceased and therefore the canon of Scripture has been closed since the death of the apostle John. Antiquity, this is closely related to the first. The book had to have been written at a time when it could be authenticated by those who had known the apostle associated with the book. This criteria would exclude some long lost book that was discovered later and it is also why some books such the Shepherd of Hermes was rejected by the early church. Since the book was produced by the apostles it had to be in agreement with the apostles doctrine and could not contradict it. Since God is the co-author of Scripture He would never breathe out His word that would be contrary to His earlier revelations. This is why the early Gnostic Gospels of the second century were rejected as well as one of the reasons that protestants reject the Old Testament Apocrypha. The book had to have widespread acceptance by the early church. No secret books that were only accepted by small groups such as the ones written by Marcion. The book was used by the Church in their worship of God. Does the book carry the weight of authority to the extent that is fits 2 Tim. 3:16-17, "‘all scripture is inspired by God and is profitable for ...," what follows is a list of criteria that can be used to determine its use. Most protestant denominations, the Catholic Church, and the Orthodox Church all consider the canon closed for the reasons that were listed above regarding criteria. The number one of which is the fact that they had to have been written by the apostles. There are some groups that claim the gift of prophecy has continued (I am not one of those) so I do not have a sense in which there is the potential for some future book of the Bible. It is also why I would reject any book that was written after the apostolic age. Even the idea of a long lost book does not fit the criteria that was used in the early Church so I am OK there as well. Not a part of your Questions directly is the doctrine of preservation. Did God act in such a way and does He continue to act in such a way to preserve His word for future generations after He had breathed it out? One way to see this is the shear number of New Testament manuscripts. There are over 6000 Greek New Testament manuscripts. No other written literature of the ancient world can claim anything like the New Testament in the number of original attestations. Even the sacred writings of the other religions come nothing close to the number of ancient copies of the Old and New Testaments. The discovery of the Dead Sea Scrolls even substantiated the fact that we have the essential Old Testament text, largely unchanged since about 100 BC. One comparison is the writings of Josephus, there are as many as five very distinct versions with significant and drastic changes between them. Not so with the Old and New Testaments. I take that as the providence of God so I am secure in my faith that He has given His word to us and we have everything we would need, so there is no need to worry about the concept of an open canon. While not an authority on any of these topics, I will share my research and the conclusion I have currently come to accept. I do not offer this answer as pure truth, but rather as my current understanding, which is more now than it was when I asked the question. I use The Shepherd of Hermas as a sample case for arguments, but I do not consider the actual assessment of any writing relevant to this discussion. There are well known references(1, 2) about Clement and Origen both citing The Shepherd of Hermas as Divinely Inspired. Eusebius, a 4th-century Christian historian and theologian, identified the book in a category often translated “spurious,” listing it alongside books like the “Didache” and the “Epistle of Barnabas.” He explained that such books were generally considered orthodox and useful, but were not to be regarded as inspired or read in formal church gatherings. He not only distinguished these books from true Scripture but also from the “disputed” books that were considered scripture by some but were not yet accepted as scripture by all churches at that time (such as 2nd Peter and 3rd John). CARM also admits that some great Christians called the Shepherd Scripture, then uses the old "I translate languages better than the people who actually translated it and it doesn't say what translators think it said" trick. "There are books other than these that are not, on the one hand, included in the canon, but that have nonetheless been distinguished by the fathers as books to be read to those who have recently come to the faith and who wish to be instructed in the word of piety.” Shepherd of Hermas was again placed in this category, along with the Didache and others. Not only do we have some confusion here, we have confusion across centuries. This topic seems to me to be somewhat pointless the more I learn about it. For instance, if wisdom only comes by God, and someone writes something Orthodox in nature, then by definition it is inspired. I'm not sure why some feel the need to declare something inspired or not, when the only true assessment is, does it line up with the Bible? The Bible clearly says prophets will continue to come and they all should be tested. A prophet, like Nehemiah, had his words and story written down. Others have not. But, by definition when we have a prophet, and he passes the tests, if his words and work are recorded I would certainly say they are inspired. Now, we've had a lot of people claim these inspirations and write things down and create droves of 'sects' of Christianity, which I believe is what the original founders of the Canon were concerned about. While this topic is important, it is out of scope of my original question. With respect, I do not believe the process you may have in mind for the formation of the canon is quite accurate. The Church Fathers did not create the Bible canon through a process of considering a corpus of books and judging which books were inspired and which were not. The primary consideration given the books which have come to form the New Testament was not the degree to which they were "inspired", but rather their origin. First and foremost, the New Testament is a collection of Apostolic writings, whether from the original 11, or from early Christian leaders like Paul who came to be recognized as Apostles. What they wrote was accepted and considered by the Church in the spirit that Paul guided in 2 Thessalonians 2:15: Stand fast and hold to what we have handed down (Gr. παράδοσις - paradosis), whether by word of mouth or by our letter. To your point, it is not really helpful, in my opinion, to delineate early Church writings into categories of "inspired" and "uninspired", with the "inspired" books going into the New Testament, and the "uninspired" books being ignored, discarded, and perhaps even maligned. The word "canon" is a direct transliteration of the Greek κανών (kanón), meaning "rule". We use the term freely in referring to the organization of the Bible, but within the first millennium Church the word was generally used to refer to "rules" that were issued by various Church Councils. Contrary to many popular opinions, the Church Councils functioned in order to delineate what was true from what was not, and not to promulgate what was in their mind some new Divine dogma. They were convened when believers were faced with dilemmas when new and confusing doctrines arose, in many cases justified by Scripture. The 1st Ecumenical Council (325) was convened as a result of doctrines promoted by Arius; the 2nd (381) due to Macedonius; the 3rd (431) due to Nestorius; etc. The reason that we don't see such formality prior to the early 4th century is because the Church was essentially underground, generally considered illegal and sporadically persecuted by Roman authorities. This made the communications and logistics needed for large conciliar assemblies practically impossible. As this answer describes, the formalization of the Biblical canon took place through some of these same Church Councils, which issued canons that standardized which books were to be included in the Christian Old and New Testaments. The most important councils here were the Councils of Carthage (397) and Trullo (692) and the 7th Ecumenical Council at Nicaea in 787. Trullo adopted the so-called Apostolic Canons, which are usually dated to sometime a little before the Council of Carthage. Despite the "Great Schism" between the See of Rome and the other four ancient Sees (Constantinople, Alexandria, Antioch, Jerusalem) in 1054, the New Testament canon that exists in virtually all Bibles today has its origin from these councils. The Old Testament canon established by the first millennial Church has also remained more or less intact in Orthodox and Catholic Bibles. Prior to the councils issuing actual canons governing Scripture, a formal Bible canon cannot really be considered to have existed - at least in the first millennial understanding of the word. That is not to say that the corpus we have today was not widely understood and accepted: we have the writings of Melito of Sardis (d. 180), Origen (185-254), Eusebius (263-339), Athanasius (c. 296-298), and others attesting to this. But it was not completely stable. The Codex Sinaiticus, which is the oldest or second oldest complete Christian Bible in existence, for example, dates to 330-360 and contained the Epistle of Barnabas and the Shepherd of Hermas. (Sinaiticus is one of the principal witnesses used in the Nestle-Aland "Critical Text", which is the basis of most modern Protestant Bibles). Marcion of Sinope (c 85-160) and his followers accepted only Luke (or something like Luke) and Paul's Epistles. (Despite its flaws, Marcion's canon is actually the oldest New Testament canon we have record of). The early codices and early Church Fathers often disagreed also on which Old Testament books should also be included, with disagreements not only over the deuterocanon but sometimes even over the so-called "Hebrew" canon (e.g. Esther). Not the answer you're looking for? Browse other questions tagged terminology early-church canon scriptures inspiration or ask your own question. From a Fundamentalist standpoint, what does the phrase “Inspired, infallible, inerrant Word of God” mean? How does the Westminster Confession address the paradox of the Bible canon? Can Christianity be objectively defined? 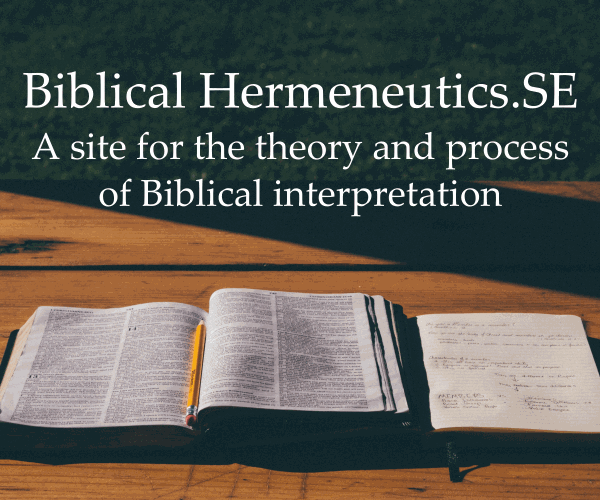 What is the difference between “infallible” and “inerrant”? What, exactly, is the “early Church”? By what process were the Scriptures written down? Why are the letters and psalms and such considered God's Word if they are written by fallible men? What is the evidence that the New Testament authors believed, or did not believe, that they were writing an inspired record?